Ten years after his death, the time is ripe to revisit the work of Dmitri Prigov, one of Russia’s most prolific, playful and profound artists. Prigov was a figure whose endless creativity, when it came to the narratives and iconography of power, seems as relevant as ever in the age of fake news and other public mendacities. 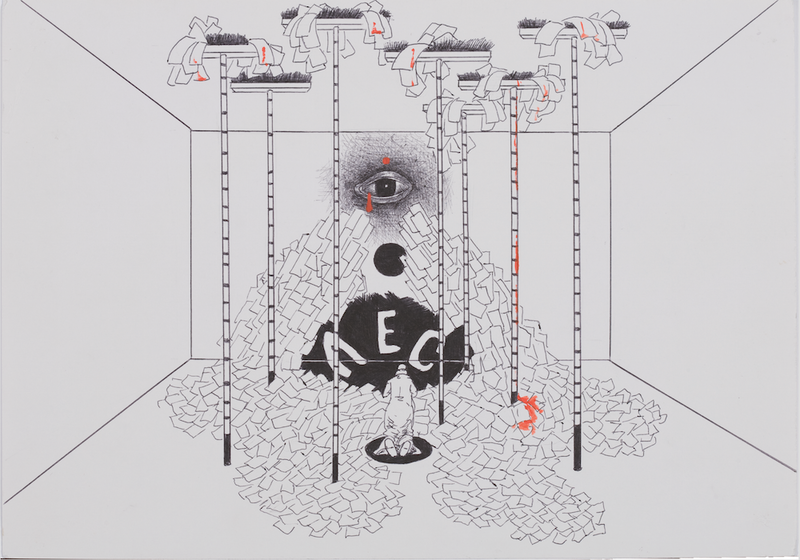 From 13 October, Calvert 22 Foundation will play host to Dmitri Prigov. Theatre of Revolutionary Action, the first posthumous solo exhibition in the UK dedicated to the artist. 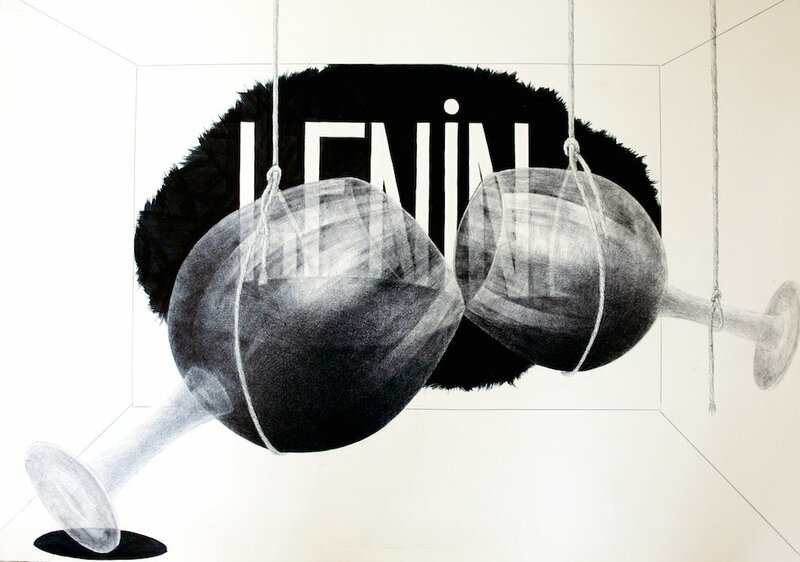 Prigov’s career stretched almost equally across the late and post-Soviet periods and Theatre of Revolutionary Action is primarily focused on his work after the collapse of the USSR had opened him up to the world at large. But where did Prigov come from? How did his Soviet upbringing and artistic education influence his work? Born in 1940, Prigov was a member of the first generation to come of age after the war — one that would go on to define Soviet culture for an international audience (think of poet Joseph Brodsky (b. 1944), or director Kira Muratova (b. 1934)). It’s perhaps no coincidence that Prigov later claimed to have started writing poetry in 1956, the year of Khrushchev’s “Secret Speech” denouncing the personality cult of Stalin and kick-starting the period of relative cultural licentiousness known as the Thaw. The sense of an artistic generation coming of age is reflected in the fact that Prigov’s classmates at the Stroganov Industrial Art School included several other key figures of “non-conformist” art: Boris Orlov, Komar and Melamid, Leonid Sokov. The Thaw was a contradictory period, one of simultaneous possibility and disillusionment. Western and Russian avant-garde art was (re)discovered and punishments for creative heterodoxy were softened, but artists also began losing faith that the state might eventually support their work. So, rather than simply acquiescing to or opposing official demands, non-conformist artists began to ironise and re-appropriate the rhetoric and imagery of the state. 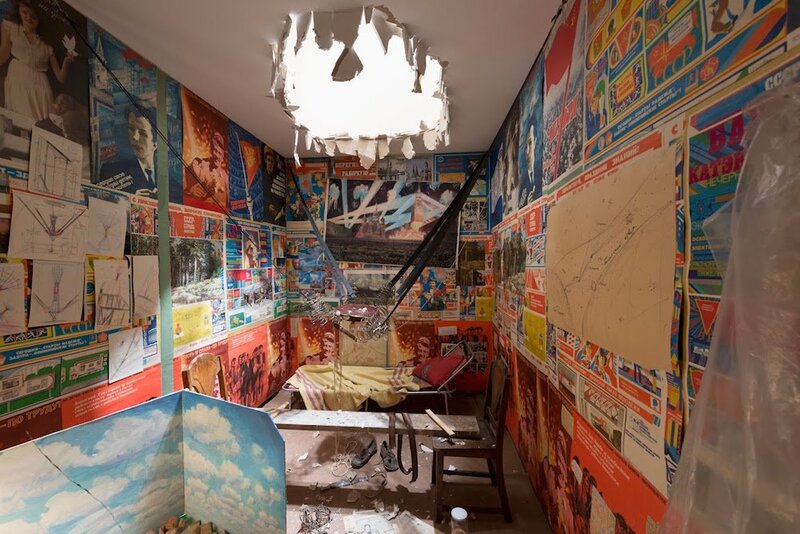 Prigov was at the centre of Conceptualism and related non-conformist art movements from their emergence in the early 70s, alongside Ilya Kabakov, Erik Bulatov, Komar and Melamid, Ivan Chuikov, the Collective Action group and others. 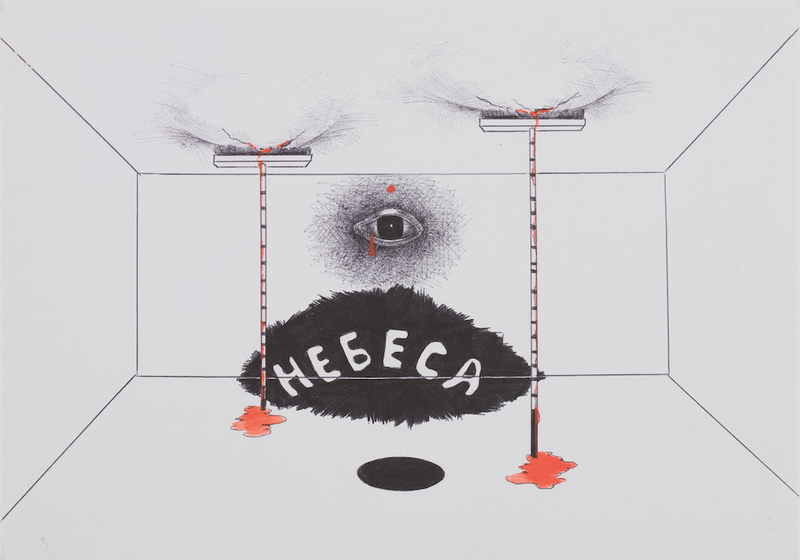 At its heart, Russian Conceptualism was self-reflexive, ironic, fixated on verbal and visual “codes” and their subversion. Soviet slogans and imagery would be repeated and twisted until they lost all meaning, recreating for the audience their own experience of living with rules and received wisdom which they knew to be hollow. 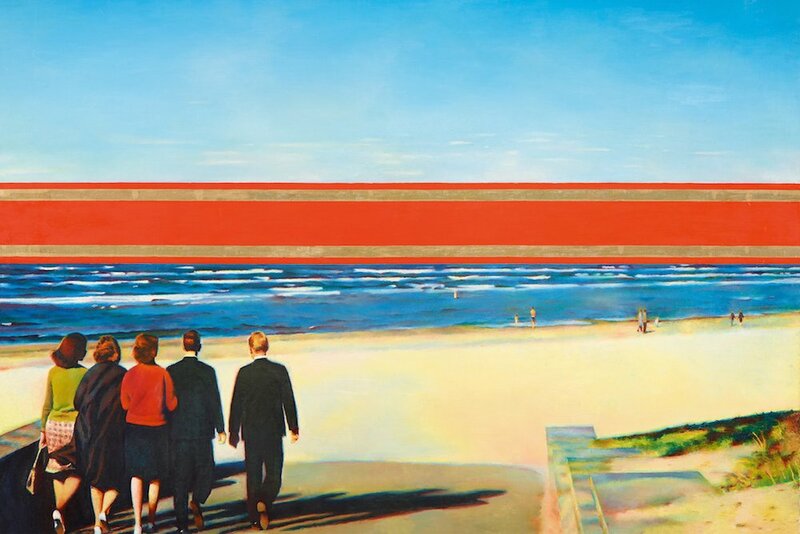 Bulatov recreated idyllic or pastoral scenes, then inserted disruptive blocks of colour or text; Komar and Melamid painted Stalin next to Hitler and E.T.. And Prigov, perhaps more than anyone else, took the verbal tics of official “Soviet-ese” and ran with them, creating something unnerving and invigorating. 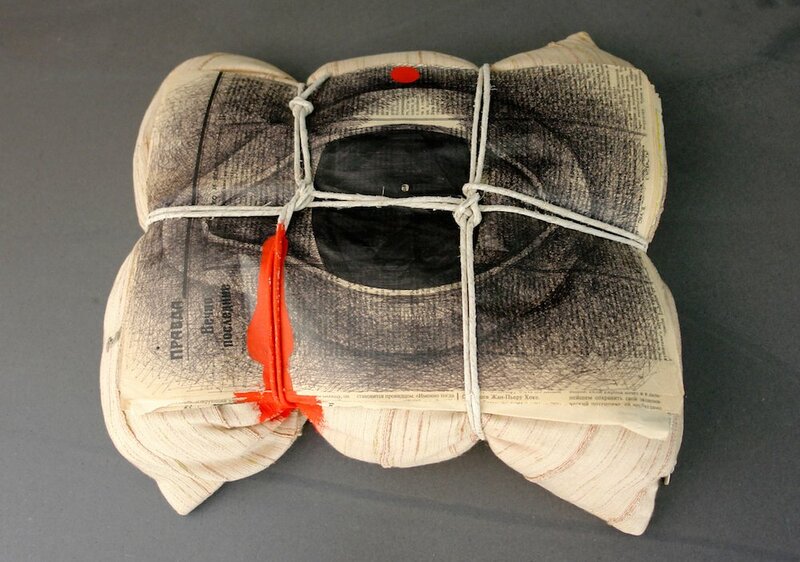 Prigov worked in poetry, graphic art, sculpture, installation and performance art, cultural theory, film, TV and music. He adopted a similarly broad range of characters or “personages”, insisting on the importance of the figure performing the words rather than the content of the words themselves. He once said of his method: “I take a certain image of writing and collide it with another image.” As befits a trained sculptor, he cited Henry Moore and Alberto Giacometti among his formative influences (along with Warhol, Beuys and Fluxus), and he was forever concerned with the question of monumentalisation: how the artist and their work become set in stone through public appreciation. 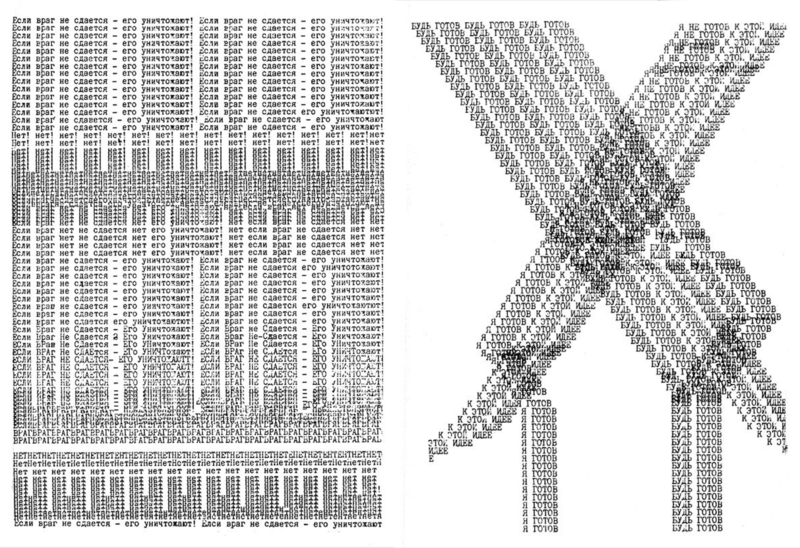 The “collision” between image and writing is there in Prigov’s “stikhograms”, reminiscent of earlier 20th-century typographical experiments by the likes of Guillaume Apollinaire. Prigov takes fragments of recognisably “Soviet” speech (one example: “Comrade, I cannot abandon my squadron!”), replicating and manipulating them on the page, divesting these weighty pronouncements of their power. Prigov is a fundamentally democratic artist, unconcerned with “creative genius”. He once described postmodernism as “an exploration of the possibility of individual expression”; his installation in the Hermitage in St Petersburg invites the viewer to take a seat alongside empty frames labelled “Malevich”, “Rembrandt”, “Leonardo”: here, these lofty names are simply convenient labels onto which we project our own interpretations. Uncovering the uncanny nature of Soviet life also meant exposing its ritualistic, quasi-religious underpinnings. Prigov has been described as a kind of holy fool or shaman. Performing his poetry he would often adopt a growling, hooting, musical tone, like an unhinged monk — as in his famous Alphabet series, an extended deconstruction of the Russian alphabet into something nonsensical and unsettling. It was perhaps inevitable that Prigov would himself would fall foul of the Soviet policy of sticking recalcitrant “subversives” in the madhouse; the most surprising thing is that he took so long to end up there, finally being sectioned in 1985 after years of close surveillance. Of course, Prigov was never officially exhibited in the Soviet Union. His reputation, fostered in émigré journals before perestroika, went from strength to strength once he was able to travel and perform for foreign and domestic audiences in the 90s. But the formative experiences of the stagnating USSR cannot be forgotten. Dmitri Prigov. Theatre of Revolutionary Action is at the Calvert 22 Space from 13 October — 17 December. Find out more here.